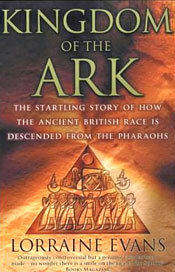 Kingdom of the Ark - Ancient Egypt settled in Britain? Kingdom of the Ark is a work of narrative non-fiction, putting forward the theory that refugees from Ancient Egypt settled in Britain and/or Ireland in the middle of the Bronze Age, under the leadership of Meritaten, eldest daughter of the 'Heretic Pharaoh' Akhenaten. "In ancient times Scota, the daughter of pharaoh, left Egypt with her husband Gaythelos by name and a large following. For they had heard of the disasters which were going to come upon Egypt, and so through the instructions of the gods they fled from certain plagues that were to come. They took to the sea, entrusting themselves to the guidance of the gods. After sailing in this way for many days over the sea with troubled minds, they were finally glad to put their boats in at a certain shore because of bad weather." The manuscript goes on to say that the Egyptians settled in what is now Scotland, were later chased out by the local population and moved to Ireland, where they merged with an Irish tribe and became known as the Scotti. They became High Kings of Ireland, and eventually re-invaded and re-conquered Scotland, which gains its name from their founding princess, Scota. This sort of folk etymology, deriving contemporary names from (legendary?) eponymous founders, was extremely popular in the Middle Ages. For example, Britain is supposed to have been named after Brutus (Historia Brittonum), Gwynedd after a (legendary?) king Cunedda, and the seven provinces of the Picts after the seven sons of Cruithne. Orkneyinga Saga, written in Iceland in about 1200 AD, attributes the name of Norway to a legendary founder called Nor, and Historia Brittonum, written in northern Britain around 830 AD, attributes the names of major European tribes (Franks, Goths, Alamans, Burgundians, Longobards, Saxones, Vandals) to the sons of a descendant of Noah. Kingdom of the Ark attempts to find evidence to support the story of Scota's journey from Egypt to Britain or Ireland. As Scota is not an Egyptian name, the first task for the author is to identify a plausible candidate princess from surviving Egyptian records. The Walter Bower manuscript gives the name of Scota's father as Achencres, and a historian called Manetho, writing around 300 BC, gives Achencres as the Greek version of Akhenaten. As readers of the recent novel Nefertiti will know, Akhenaten ruled in Egypt around 1350 BC and instigated a political and religious revolution, moving the capital to a new city at a site known today as Amarna and attempting to change the religion of Egypt to sole worship of the sun-disk or Aten. Six daughters of Akhenaten and his queen Nefertiti are known from carvings in the royal palaces excavated at Amarna. The author argues that five of the daughters appear to have died in Egypt, and that the eldest daughter Meritaten disappears from the records at around the time of Akhenaten's death and met an unknown fate. On the strength of this, she identifies Meritaten as 'Scota'. Akhenaten's reign was not a successful time for Egypt, and the end of his reign appears to have resulted in a period of political chaos. He was followed by three short-lived successors (including Tutankhamun of the famous tomb), and then by a military Pharaoh Horemheb, who came to power about 1320 BC. Horemheb appears to have had a particular dislike of everything associated with Akhenaten, and systematically destroyed buildings and monuments erected in Akhenaten's reign. Given this upheaval, it is not implausible that a daughter of Akhenaten might have had good reason to become a political refugee and look for a new life outside Egypt, perhaps with a foreign husband. Several chapters in Kingdom of the Ark are devoted to Akhenaten's chaotic reign and its aftermath, and are among the most detailed and informative in the book (probably reflecting the author's background as an Egyptologist). Having suggested that Scota might be an alternative name for Meritaten, the author then looks for evidence that Meritaten/Scota travelled from Egypt to Britain and/or Ireland as recounted in the Walter Bower manuscript. This relies mainly on material from a range of archaeological sources, summarized below. A necklace of amber, jet and faience beads was found with a secondary Bronze Age burial of a young man in a Neolithic burial mound at Tara in Ireland, excavated in 1955 and carbon-dated to 1350 BC. The faience beads were similar to those in the tomb of Tutankhamun, which dates to about the same period. (Note: faience is a ceramic, often characterized by a glossy blue glaze resembling precious stones such as turquoise or lapis lazuli). A second, similar, necklace was found in a Bronze Age burial mound in Devon in 1889. As the faience beads are similar to those found in Egypt at the same period, the author suggests that the burials may have been high-ranking Egyptians. 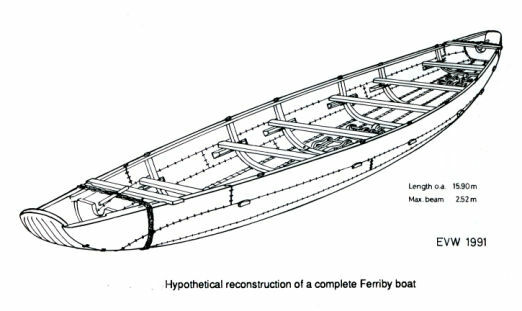 A shipwrecked boat excavated in Ferriby on the Humber Estuary in northern England in 1938-1946 was of a design similar to those used in the ancient Mediterranean and was carbon-dated to 1400-1350 BC. The author suggests that the boat may have been part of Scota's fleet from Egypt. Amber from the Baltic Sea is found in Bronze Age contexts in Britain and in Mycenae (Greece), indicating the existence of long-distance trading routes across Europe. The amber's source can be identified by infrared analysis. Egyptian artifacts such as faience are found in Mycenaean excavations, and Mycenean-style pottery is found in Akhenaten's city of Amarna in Egypt, indicating trading and/or diplomatic links between Mycenae and Akhenaten's Egypt. The author suggests that Akehenaten's daughter Meritaten could have known about north-western Europe via contacts with Mycenae. 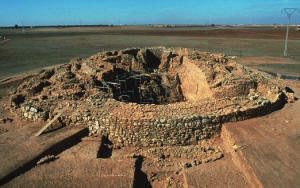 There are mysterious prehistoric towers called motillas in Spain, which consist of a conical tower in an enclosure. 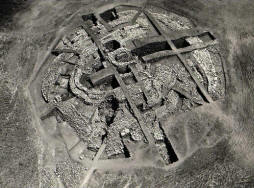 One was excavated in 1947 and metalwork dated to the middle Bronze Age was found. 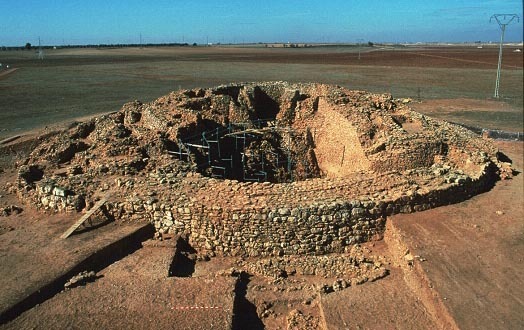 "….a very strong tower, encircled by deep ditches, in the middle of the settlement…. ", and the author suggests that the motillas are these towers. Two barrow burials near Stonehenge in Britain were excavated in 1808 and 1818 and contained amber jewellery and gold artifacts that resemble types found in the eastern Mediterranean. Tin ingots have been found in Cornwall that resemble those found in the eastern Mediterranean. The author suggests that Cornish tin may have been traded, probably by the Phoenicians, into the Mediterranean in the Bronze Age, but notes that it cannot be proved because the Cornish ingots cannot be dated. Two Bronze Age shipwrecks found in the English Channel, one near Dover and one in Devon, date to about 1200 BC and appear to have been carrying cargoes of bronze artifacts of types found in Continental Europe, indicating that seaborne trade between Britain and Europe occurred in the Bronze Age. To my mind, the archaeological finds described in the book make a reasonably convincing case for trade links across Europe in the Bronze Age, connecting Ireland, Britain and the Baltic with central Europe, Spain, the eastern Mediterranean and Egypt. If the boats found at Ferriby did indeed come from the eastern Mediterranean, some of this trade may have been direct rather than the passage of goods through a sequence of intermediaries. This doesn't particularly surprise me; ancient cultures have a habit of turning out to be more mobile, more connected and more sophisticated than we thought. I would have liked to see some attempt to set the finds in context. As presented, they indicate that long-distance trade was possible, but give little idea of whether it was rare or commonplace. I'm afraid I'm less convinced that these links can be construed as 'evidence' of a single person's journey from Egypt to Ireland and/or Britain, and still less that they constitute proof that a daughter of an Egyptian Pharaoh founded the dynasty of the High Kings of Tara and gave her name to Scotland. It could have happened (and it would make a great starting point for a novel), but it seems to me that the artifacts do not demand an explanation involving a refugee Egyptian princess. They can be just as easily, and more simply, explained as the result of regular trading and/or diplomatic links over a considerable period. Kingdom of the Ark presents an intriguing hypothesis, but in my view has a tendency to over-interpret its evidence. For example, the book claims that the Walter Bower manuscript had preserved accurate details that were only later discovered by archaeology, such as "the exact dimensions" of the towers in Spain and the "terrible plagues" in Akhenaten's Egypt. Yet the actual wording of the Bower manuscript - taking the translations given in the book - seem to me to be too unspecific to support this claim. "….a very strong tower, encircled by deep ditches, in the middle of the settlement….". This is a general description, not a set of exact dimensions. It could also apply to a medieval castle in the middle of a fortified town, for example - which would presumably have been familiar to Bower. And Bower specifically says that Scota fled "…from plagues that were to come," whereas the plagues documented at Amarna happened before Meritaten disappeared from the records - i.e., Bower would seem to have got the events the opposite way round. He may have been drawing on a genuine tradition (although it's worth noting that 1350 BC to 1435 AD is over 2,700 years, which is a very long time to maintain a tradition), but I think it is stretching a point to claim accuracy. There are also occasional oddities in editing, e.g. "These are found on the Continent, predominantly in southern Germany to the west of the River Seine." The famous River Seine is in France. Is there another one in Germany, or is this an error? Kingdom of the Ark presents its case with a strong narrative drive that carries the reader easily along, but needs to be read with a critical mind. A colorful narrative full of interesting snippets of history and archaeology, presenting an intriguing (though to my mind not entirely convincing) theory.